Having worked as community interpreter for over 15 years, Jules has a wide range of interpreting experience across a variety of settings. Her interest in the workplace interpreter’s role led to a PhD at Heriot-Watt University, U.K. Her ground-breaking ethnographic research examined the ways in which the interpreter impacts upon the interaction between Deaf and hearing employees, with a focus on the use of humour and small talk in team meetings. Jules continues to support the development of the interpreting profession as a teacher, trainer, research-practitioner and a Professional Supervisor. 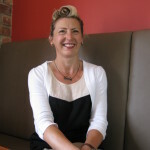 Jules has published extensively on issues relevant to workplace interpreting.